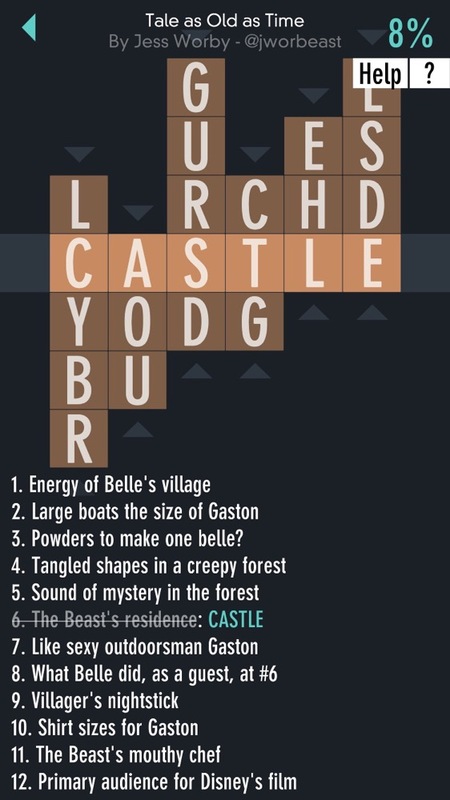 Zach Gage’s Typeshift is the latest addition to Apple’s indie game showcase that’s been in progress for about a week. I got it a few days early and, even though I’m playing about fifteen games at the moment, I keep getting pulled back to this one. The game’s stats tell me I’ve invested over five hours into the game already! It’s especially good for winding down in bed, and I know it’s time to shut off my phone and call it a night when I’m unable to think of any words. Basically, you’re given rows of letters and you need to drag (or shift) the columns up and down so that the highlighted letters form a word. The letters that you’ve successfully used in a word will turn from brown to turquoise. The level is considered solved when all letters are turquoise. But you can match extra words as long as you keep one letter brown until you’re ready to complete it. The game then tells you all the words you found, splitting them up between “core” words and extras. The core words are usually the bare minimum you need to make in order to complete a level, but you can also finish it without them as long as you use all the letters. At one point, I found thirty-five words but only one of the core words! Besides these, there are “clue” packs that are more like crossword puzzles. You’re given a list of clues and you have to try to figure out what word reflects each clue, create it and tap the clue you think you’re solving. If you’re right, the letters that are no longer needed disappear from the board. I find these puzzles even more compelling than the regular packs. The game only comes with one free clue pack and I already finished the extra pack I was given as a promotion. Each other clue pack includes twenty levels and goes for $1.99. I haven’t bought any new ones yet, but I’m sure I will when I run out of free packs. Typeshift is free to to download and has a very generous amount of free content that you can play at no cost at all. But if you choose not to spend any money, you will have to deal with some ads. The game is split up into several packs, some free and some paid. Any purchase removes ads for the entire game. Once you have a pack unlocked, you can skip around as much as you want and progress within each level is saved, so you don’t have to worry about completing it in one sitting. It’s a very user-friendly layout that I really appreciate. There are some things I would like to see in the future. Right now, you can tap on any word you find and it will show the Merriam-Webster definition, so you can learn while you’re playing. Unfortunately, there’s no record of all the words you found so you can browse through them later. Usually when I’m playing, I don’t want to stop and look up words. But I’ve definitely seen some words I never heard of before and it’s disappointing I can’t just scroll through a list to find them again. The other change I’d like to see is some way to tell how many words are possible to make in a single level. It would give the game more replay value if I had some idea of how many words I missed. Otherwise, it could feel tedious to keep replaying without knowing if you’ve been missing anything. Basically, I’d like to see better record-keeping than the general stats currently included. But these are small complaints in the whole scheme of things. 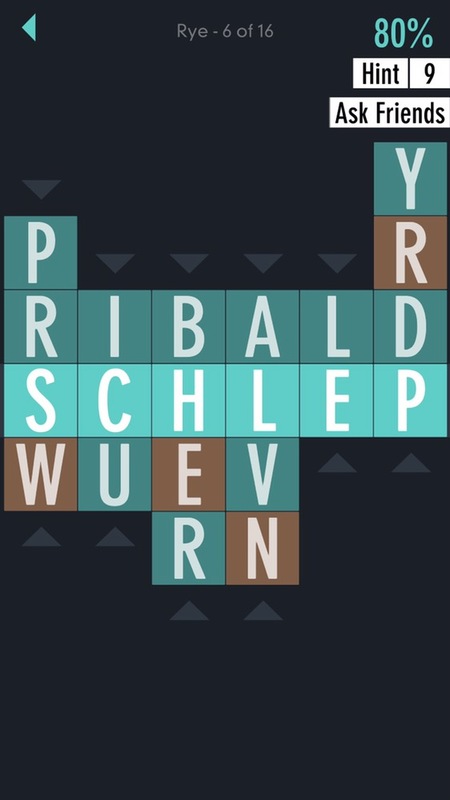 Overall, Typeshift is a solid word game that I’m having trouble putting down. It’s free to try, so definitely check it out. Unlocking all the content could set you back over ten bucks right now, but it’s possible there will be some more bundles in the future. There is something nice about being able to pay for one pack at a time, though. This feels like a game that should be savored over time and not binged in just a few days. If it looks like something you’d enjoy, you can download the game here. And make sure to check out my gameplay video below if you don’t mind spoilers. I really like this game – but not all the words are in the dictionary. I got a few and clicked on them and nope – not even in their dictionary, lol. Still fun to play and like you, I mostly do the daily puzzles. Yeah I’ve come across a few of those, too, but still love the game!